No couch potatoes here this summer! AcroSport recreational camps are the perfect combination of instructional gymnastics and FUN! 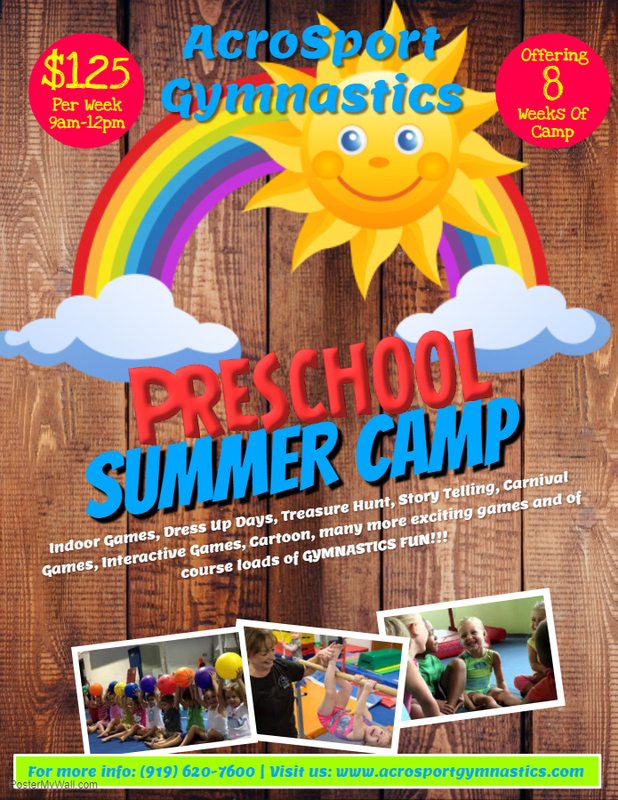 We will work on current gymnastics skills, develop new ones, play skill-enhancing games, recharge with healthy snacks and top it off with active free play! Campers will all begin the day with warm-up together and then separate according to their skill level. 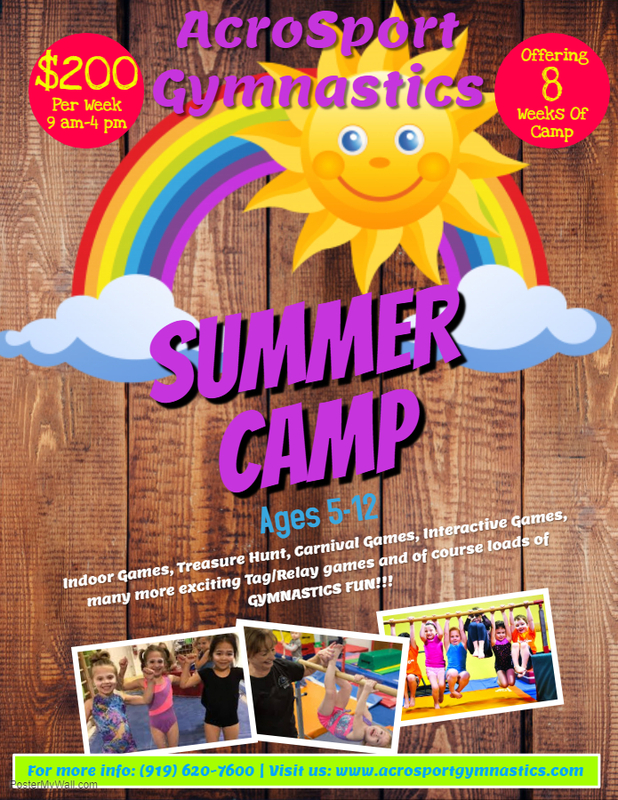 This is a great opportunity to help propel your child’s gymnastics skills to the next level! One week of Full-day camp costs $200. One week of Half-day camp costs $125. Only need a partial week? No Problem we also have daily rates available. $40 for Full-day; $25 for Half-day. Any additional question please give us a call at 919-620-7600. CLICK HERE for a printable registration form.